When the Heritage Foundation's Becky Norton Dunlop looks at an alumni directory from the Reagan administration, she knows just about everybody. Not surprising. As Ronald Reagan's deputy assistant for presidential personnel (it was among several senior posts she held in the administration), Dunlop was a key figure in shaping the administration through the people it hired. Even then she had the perfect background for such an all important job: A veteran grass-roots activist, who had started her career as a straight-out-of-college gofer at the American Conservative Union. She went on to serve in the administration of former Virginia governor George Allen, and today Dunlop is the Heritage Foundation's Ronald Reagan Distinguished Fellow. Which raises the question: How is Reaganism faring these days? Conservatives may invoke Ronald Reagan's name more than that of any other figure in modern times, but what about the state of conservative philosophy and policy in such a bizarre political year? Reagan's is a name to conjure with, but what about his policies and values for which he stood? Becky Norton Dunlop is the ideal person to ask. While admitting that the conservative movement is "frayed" and that rebuilding is in order, Dunlop starts with a positive. "One aspect of American conservatism, the intellectual part," she says, "is actually in pretty good shape. We have a lot of people who know and understand the Founders' vision and are for the free-enterprise system and want limited government, who understand that to have order and economic freedom you have to have a culture that transmits values to our young people that will allow them to become good citizens." But there is an impediment to the transmission of values for the next generation. "Too often in recent years," Dunlop says, "we have failed to understand that the education system in this country--for three decades at least--has been eroding the knowledge that young people have of the foundational pillars of a free society. We have not gone out and fought the educational establishment. While the conservative movement has grown in numbers and in its understanding of the founding principles, we haven't been sophisticated enough to say 'how do we win the battle intellectually?' That is why we are losing the battle." Dunlop believes conservatives should turn their attention to the states and fight in particular for choice in education (including homeschooling and improving public schools). "We can continue to do that whether Hillary Clinton or Donald Trump is president," she says. Reforming education? Reminded that this is a tall order, Dunlop recalls the adage about the elephant: How do you eat an elephant? One bite at a time. In other words, conservatives must prepare for the long game. Holding on to the country's foundational values, in the public square and in the family, despite an often-hostile cultural climate, is the starting point for rebuilding the conservative movement, Dunlop says. "I can tell you what Becky and George are doing," she says. "We are focusing on making sure our library includes the great books and plenty of copies of the Bible. 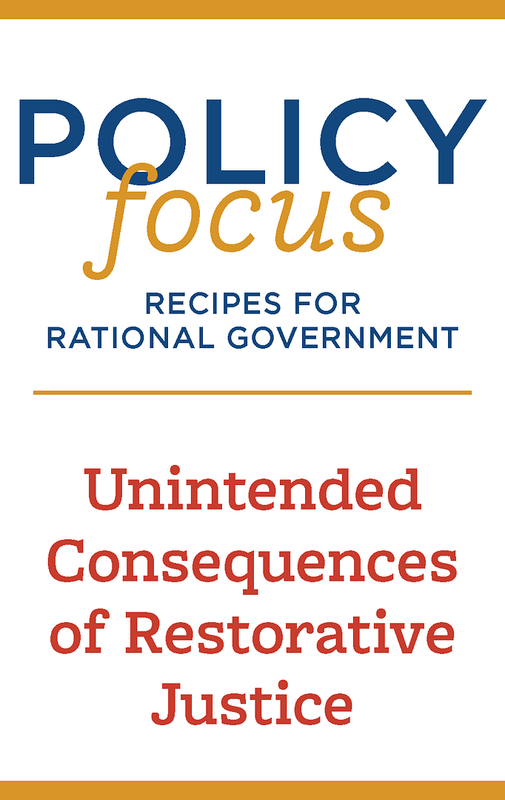 We are going to have to begin again and nurture a culture that understands the foundational values." Until they recently moved to an Arlington condo and built a house in the mountains, the Dunlops lived in Arlington, Va., where she is active in Republican politics and both are committed members of the Oakland Baptist Church in Alexandria, Va. Oakland is an African American church. "We felt convicted to do something ourselves to try to repair the rift between black and white Americans," Dunlop says. The first time the Dunlops visited Oakland, the preaching, by then-pastor the Rev. Tyrone Queen, was excellent. The next week the pastor's wife, Linda Queen blew them away with a solo. "We found fantastic preaching from the Bible and a preacher's wife who has a fantastic voice, and wonderful loving fellow parishioners," says Becky, who describes herself as "a Baptist by conviction, not heritage." But she definitely has a Baptist heritage. Becky Norton grew up in Columbus, Ohio, the daughter of a Baptist minister. Her mother was a registered nurse, who took time out of her career to raise her five children. Becky got her start as a vocal conservative when she was the only Barry Goldwater supporter in her eighth grade class in a Columbus public school. She attributes this to her brother's having given her a copy of Goldwater's book, Conscience of a Conservative. "I said 'I agree with everything in this book. I must be for Goldwater.'" But we all know how Becky Norton's first campaign turned out. When Goldwater lost, "I had to get up before the class and deliver a concession speech. I said 'I have no respect for Lyndon Baines Johnson, but I will respect him because he was elected president.'" Her father also nurtured her conservatism when he presented her with a copy of Phyllis Schlafly's 1964 book A Choice, Not an Echo, which was important in providing ballast for Goldwater's movement and ultimately helped pave the way for Reagan's election. When Schlafly died earlier this year, Dunlop wrote an article for Heritage's Daily Signal headlined "The Incredible Leadership of Phyllis Schlafly." Referring to the gift from her father, she wrote, "I have one of those original books and it helped me to know what I believed and why I believed it." Becky Norton went on to Miami University in Oxford, Ohio, where she majored in political science with a minor in history and was active in the Young Republicans. After graduating, she intended to move to North Carolina and live on the sofa in her brother's apartment, while working in a factory and belonging to a labor union. A union? She planned to teach fellow-union members about conservative economic values. But fate intervened in one of those serendipitous moments that have been uncannily frequent in her career. She and friends decided to make a trip to Washington, D.C., before Becky went to her imagined factory job in North Carolina. And then there was this coincidence. "This is really a God story," says Dunlop. She fell into conversation with a stranger while waiting for the light to change (you did that back then) and he informed her that, if she was really a young conservative, she should pop in and see what was going on at the American Conservative Union. Founded in the wake of Goldwater's loss, the ACU was one of the early organizations of the conservative movement. It was nearby. The man in charge told Becky it would be fine and dandy to go to North Carolina, but added, "If you come to work for me, I can only offer you a job as a gofer but you will be on the ground floor of the conservative movement in America." Done deal. That was on Monday, and Becky Norton was offered a job at the ACU Tuesday and started work there on Wednesday. She had a basement apartment by Thursday. When she called her parents, they said she'd always had good judgment and endorsed the sudden change of plans--but they didn't say they'd send a check. As for the stranger on the street corner, "I don't have this man's name but he came from Los Angeles. What does that mean? Translated Los Angeles is 'the angels'," she says. The ACU co-hosted the first C-PAC in 1974, and since then C-PAC has become one of the most important events of year for conservatives. "I was on the staff for the small leadership meeting at which the first C-PAC was conceived," Dunlop recalls. "And that is when I met Phyllis Schlafly. I stood up and almost saluted her. She stuck out her hand and said, 'I'm Phyllis.'" It was a heady time. "C-PAC captured the imagination of the conservative movement," Dunlop continues. "Ronald Reagan was our first keynote speaker. I've been so blessed to see this, and I can tell you that Phyllis Schlafly was very important. That book captured something and inspired women all around the country and was important in getting Ronald Reagan elected." By the time Ronald Reagan was elected in 1980, Becky Norton Dunlop was one of the best-connected conservatives in Washington, and it stood to reason that she would be hired to sort out resumes to hire the soldiers of the Reagan Revolution. The angels were on duty--she met Pendleton James, then-White House personnel director, one day, and the next day, when James said he was being inundated with calls and resumes of people he didn't know, Willa Johnson, a former Heritage Foundation official who worked in the Reagan administration, said she knew just the right person to help him. Dunlop started her job in the White House the next Monday. Dunlop was contemplating going to work in the private sector when then-Attorney General Ed Meese called her and said that the president was re-organizing the Cabinet system. Meese offered Dunlop a job on the domestic policy side. "I need someone to handle that who knows what Ronald Reagan wants," Meese who the President had appointed Chairman Pro-tem of the Domestic Policy Council said. Dunlop became his senior aide for this Cabinet Council. She was involved in policy reports on the environment, family issues, privatization, federalism and torte and welfare reform. She went on to serve as Reagan's deputy undersecretary of the Interior Department and as assistant interior secretary for fish, wildlife, and parks. When George Allen was elected governor of Virginia, Dunlop's experience made her a natural for the job of Virginia's natural resources chief. She is something rare--a free-market environmentalist. She is author of a book, “Clearing the Air,” which was published in 2000 by the Alexis de Tocqueville Institute, that recounts her adventures in furthering these ideals. She touts what she describes as Allen's success in combining growth and investment with improvement in the environment. "The liberals hated that," she says, "because they feared it would be replicated in other states. But a growing economy and improvements in the environment go hand in hand." For example, how do you improve air quality? Air quality improves when people are able to buy newer, more environmentally-friendly automobiles--and that takes jobs. "The way you improve air quality is for people to get good jobs. Don't pass more laws, but make it easier for people to buy newer or even hybrid vehicles. Take away the impediments." She worries about the far-reaching effects of regulations put in place by bureaucrats. "They now govern by dictate rather than by law," she says, "and environmental policies actually affect every aspect of our lives. The environmental policies dictate Department of Defense policies, how highways are built, how economies grow. They are doing this in the name of an improved environment but so much of it is done through the EPA and the statist leadership of this administration." She remembers being told by an education official from Arkansas that abolishing the Department of Education would do no good--all the regulations would remain in place. Dunlop has advice for governors: Don't just put a liberal in the environmental slot in state government. Hire somebody who believes in conservation but also grasps the role of thriving economy in making the environment better. After George Allen left the governor's office, Dunlop planned to take time off to "sleep, read, and shop." But she was willing to make speeches on behalf of the conservative movement. She went to Chicago to deliver one and was seated next to Ed Feulner, founder and then-president of the Heritage Foundation. Of course she was seated next to Feulner. And of course, he asked her to come in and talk to him. And of course, he offered her a job. Of course. We're sure that Becky's angels had arranged the place cards. She didn't get around to consulting George until Saturday because they had had houseguests. She wasn't sure. "George said 'You mean to tell me you have the offer of a job at the Heritage Foundation where you can go out and help the conservative movement, don't have to do the fundraising, and they'll let you write your book, and you didn't say yes? If I were you I would get [Heritage vice president] Phil Truluck on the phone this weekend before he changes his mind.'" And what about the future of the conservative movement--and, indeed, conservatism in America? In a nutshell, Dunlop's message is this: "We have to do it again." In the event of a Clinton presidency, conservative organizations must take care to shore up themselves financially and organizationally. In some instances, they should focus more on the states than Washington, D.C. The past offers the best instruction for the future. "We started C-PAC in 1974 and Reagan was elected in 1980. All I can say is that is a small amount of time to elect a man who changed history and the world. It was these small bands of conservatives across the country who said 'We've got to do something.' They got involved, got themselves elected delegates and went to Detroit where Reagan was nominated. Now, we are going to have to do it all over again. The Brits have done it with Brexit, and now we have to do it again." 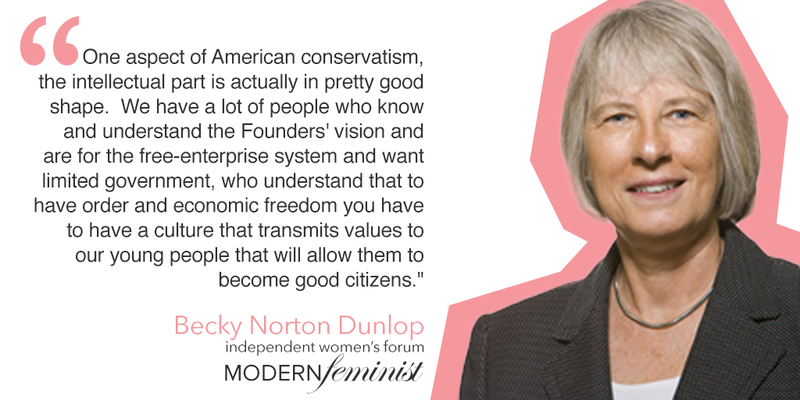 And undoubtedly, in whatever comes next, Becky Norton Dunlop will play a leading role in shaping conservatism's path forward.